A portrait capturing tens of thousands of Year 3 schoolchildren from across London is being created by Oscar-winning filmmaker Steve McQueen. Year 3 pupils from the capital’s 2,410 primary schools will be specially photographed for the project, which will go on display at Tate Britain. The project hopes to embody the diversity of the city in which Mr McQueen, now 48, grew up. The finished exhibition will be unveiled in autumn 2019. The 12 Years a Slave director said the project was “all about reflecting back”. “When you first start education, things start to change. When you start being aware of gender, when you start being aware of race. When you start being aware of class”, he told the BBC. 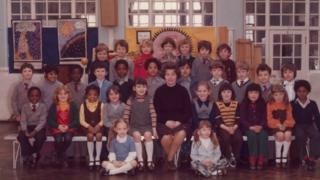 On why he chose to express his vision via the traditional school photograph, Mr McQueen said: “The school photo is very formal. Kids are standing or sitting crossed legged with the teacher on the side. “I used to love that format – and it’s a photo that reflects on that class, the school and also reflects on society. More than 115,000 seven-year-olds are beginning the new school year in London this September. “This is a milestone year in a child’s development and sense of identity, when they become more conscious of the world beyond their immediate family”, Director of Tate, Maria Balshaw said. McQueen’s project will capture “moments of excitement, anxiety and hope through the traditional medium of the class photograph, depicting rows of children sitting or standing alongside their teachers and teaching assistants”, Ms Balshaw added. “In bringing together so many of these class photos from a single year, the work will embody the diversity of the city in which the artist grew up, as well as the potential of the next generation who will shape London’s future”. The museum’s Duveen Galleries will be taken over by installations of the photographs between November 2019 to May 2020.